Pair Of Art Deco Two Arm Wall Sconces Designed By Jean Perzel. 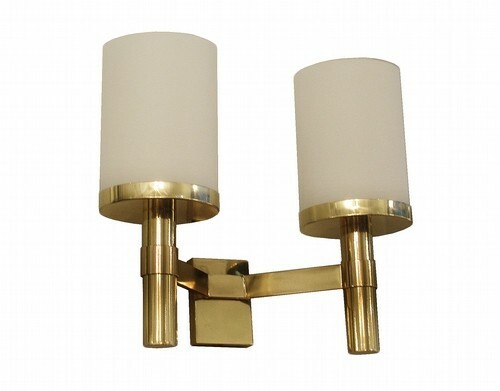 A pair of art Deco two arm wall sconces designed by Jean perzel. Patinated brass with frosted glass cylindrical shades. Signed Jean Perzel. Dimensions: H:14½ W:17 D:7½ Inches.